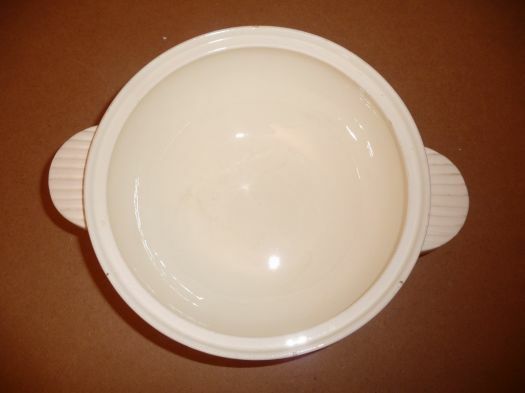 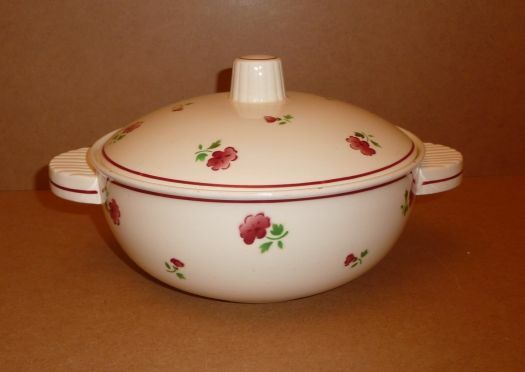 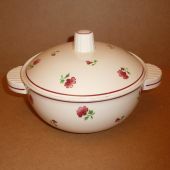 Nice soup-tureen with a charming round shape. 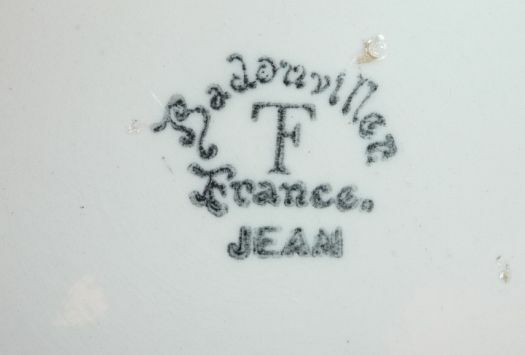 Model "Jean" from Badonviller's manufacture. 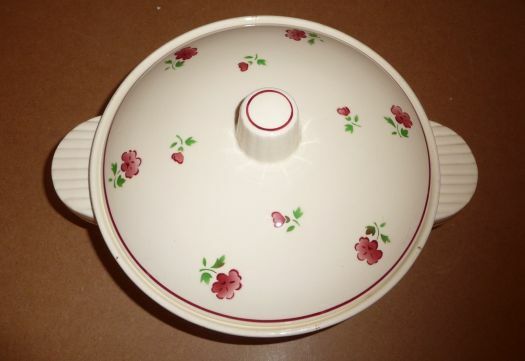 For soup indeed, but also for vegetables, salads, cream and so on.